Concrete is not one-size-fits-all. There are many different types of concrete you can use depending on the project. 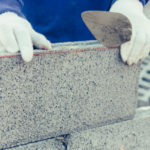 Some concrete is much more durable than others, along with strength overall appearance also varies depending upon the mix used to form a particular concrete. Knowing all of your options will help you pick the best type of concrete for your project. Cement and concrete are two terms often used interchangeably but they are not the same thing. Cement is a key ingredient to making concrete, along with sand, water, gravel and other additives. Concrete is the proper term for the finished product once it is mixed and poured. 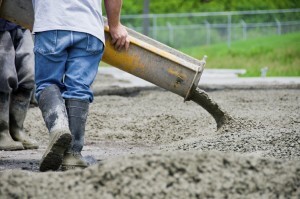 A variety of cement mixes may be used to construct different types of concrete. Mortar is used to hold together brick, stone and other masonry structures. 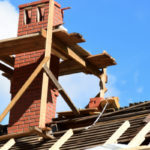 Mortar that is properly mixed and applied is proven to help structures stand up to the test of time. Mortar is made from similar properties to concrete, including water, cement and sand. The basic elements of sand, water and cement get an additional ingredient when creating a concrete mix for sidewalks. This often added ingredient is gravel. Water remains one of the most important ingredients, as too much water creates a weak slab and too little water creates a concrete mix that is nearly impossible to pour and work with. Important to note, normal concrete is not durable enough to sustain severe conditions associated with freezing and thawing. High strength concrete is carefully prepared using the strongest aggregate combinations, which allow the concrete to support much heavier loads. The water cement ratio is typically 0.35 or lower. Decreasing the amount of water added to the mix produces high strength concrete. Silica fume is commonly added to the mix in order to prevent free calcium hydroxide crystals from building up in the cement. Adding silica fume and reducing the water ratio simultaneously reduce the workability of concrete mix. To help override this challenge, super plasticizers are often added to high-strength concrete mixes. High strength concrete can support a great deal of weight, typically more than 6,000 pounds per square inch. High performance concrete is durable and fairly easy to work with. Creating a high performance mix includes carefully selecting ingredients in order to optimize the design of the mix. Super plasticizers reduce the water cement ratio to .25, while still granting the concrete mix great workability. Fly ash and silica fume are added to the mix to increase durability, reduce CH qualities, and enhance the compatibility of all ingredients. High performance concrete typically ranges between 10,000 psi and 15,000 psi. High performance concrete is not resistant against freezing and thawing, but air entrained agents can be added to the concrete mix in order to help. If you live in a region where freezing and thawing is a common issue, air entrained concrete offers a high tech solution. Air entrained admixture grants concrete with the unique ability to handle freezing and thawing. Air entrainment provides concrete with a couple of important functions, including lowering surface tension of water in order to create bubbles. Also, air entrained agents keep these bubbles from combining, maintaining an average diameter of 10 micrometer to 1000 micrometer. Freezing and thawing has such a huge impact on concrete because when water trapped inside of concrete freezes it expands by as much as 9% to 10%. 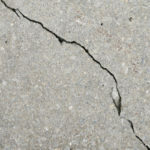 This growth creates pressure on the surrounding concrete surfaces, causing micro cracks to appear. 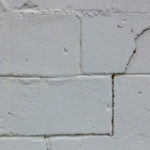 These cracks then develop into fissures and disrupt the overall stability of the concrete. Air entrained agents combat this natural process by providing a space for the expanding water through air bubbles. Since the air bubbles provide a thin slice of space for the water to expand, the pressure that leads to cracking is greatly decreased. Concrete structures include frozen and unfrozen sections. Since there is a greater amount of water in frozen areas this water tends to flow towards areas with lower water concentration. Without space for the water to naturally move and flow, cracks quickly develop in the concrete. Normal concrete will crack within 3-4 freezing and thawing cycles. Incredibly, air entrained concrete can withstand up to 100 freezing and thawing cycles. The only downside is that it has less strength compared to normal concrete. Other types of concrete include lightweight concrete, self-compacting concrete, shotcrete, pervious concrete and roller compacted concrete. In order to identify the best type of concrete for your next project, contact Turnbull Masonry today!